Mobil 1 Synthetic Gear Lube LS 75W-140 is a premium performance, synthetic, multi-purpose, automotive gear lubricant designed to meet the highest level performance requirements of many modern passenger vehicles in all types of operating conditions including limited slip applications, as well as deliver outstanding power transfer performance. Compared to conventional hypoid gear lubricants, Mobil 1 Synthetic Gear Lube LS 75W-140 performs exceptionally over a wide range of temperatures. Mobil 1 Synthetic Gear Lube LS 75W-140 achieves this through a unique proprietary combination of synthetic base oils and a unique additive system, including the SuperSyn anti-wear system, that delivers optimized viscosity-temperature properties together with the highest level of inherent formulation stability and protects against thermal and oxidative degradation, wear and corrosion, and viscosity loss associated with premature shearing. 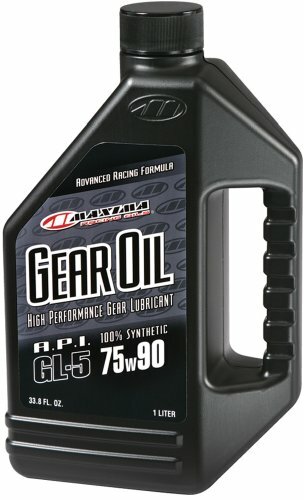 Mobil 1 Synthetic Gear Lube 75W-140 LS contains special friction modifiers designed for limited slip type differentials. In most applications, the addition of special LS (limited slip) additives is not required. For axles requiring the highest level of limited slip performance, OEM specific LS additives can be added to this fluid. Maxima 100 percent Synthetic Gear Oil is an advanced lubricant specifically formulated for motorcycle shaft drive applications and transmission fluid for BMW and Harley-Davidson motorcycles. Synthetic Gear Oil greatly enhances shifting on many twin cylinder motorcycles. For applications with separate clutch/transmission fluids. Also for motorcycles with hypoid gears (shaft drive). Use in place of API GL4 or GL5 gear lubes. Maxima Racing Oils 40-01901 85w140 V-Twin Transmission/Gear Oil - 32 fl. oz. 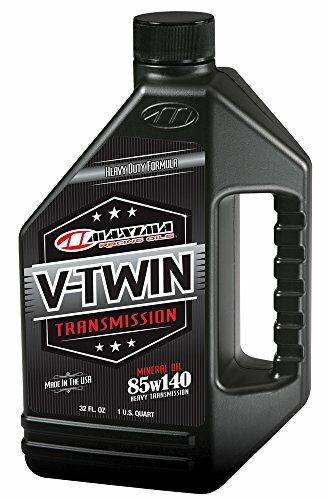 Maxima V-Twin Heavy-Duty Transmission & Gear Oil is a high-quality, mineral based motorcycle gear oil. Recommended for use in 4-, 5- and 6-speed high performance gear boxes. High film strength gear oil provides excellent protection against shock loads, viscosity loss and wear. Extreme pressure additives and surface active chemistry allow smooth shifting under peak loads and RPMs. Ultra-clean detergents protect gears from wear, deposits and allow for trouble-free operation. Spectro hypoid is formulated with the highest density and highest V.I. Petroleum base stocks available, then special EP additives are included to reduce pinion gear wear. This fine product is designed for the final drives and transmissions of All shaft drive motorcycles that do not have a wet clutch, including BMW and Moto Guzzi. It reduces drag, friction loss, wear, and extends component life. API GL-5 rated. 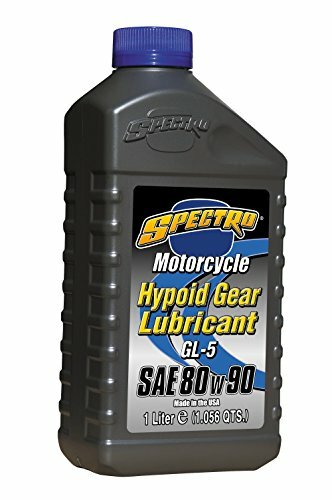 80W90 Premium Gear Oil is a petroleum blend for today's high performance shaft driven motorcycle. Special high shear strength polymers provide long lasting protection on all gear surfaces. Use in all motorcycle applications with separate clutch/transmission fluids. Also for motorcycles with hypoid/shaft drive gears. Use where API GL4 or GL5 gear lubricants are called for. Maxima Racing Oils 40-03901 V-Twin Sporster Gear/Chain Oil - 32 fl. oz. 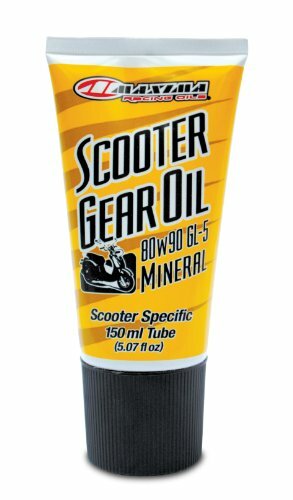 Maxima Sportster Gear & Chain case Oil is a high-quality, mineral based motorcycle gear oil formulated for high-performance transmissions and primary chain cases. Recommended for use in 1971 and newer XR and XL H-D motorcycles where transmission and primary chain case share a common lubricant. Extreme pressure additives and surface active chemistry protect against shock loads and allow smooth shifting under peak loads and RPMs. Robust formula resists mechanical shearing and heat breakdown of the oil. Ultra-clean detergents protect gears from wear, deposits and allow for trouble-free operation. 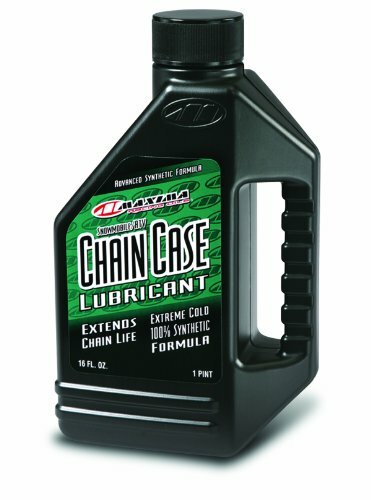 Maxima Chain Case Lubricant is a 100 percent synthetic formulation specifically designed for low temperature flow while providing outstanding lubrication to highly loaded chains and sprockets with minimum power loss. Also contains special rust and corrosion inhibitors. For use in all enclosed chain cases on both snowmobiles and applicable ATV's such as Polaris. Drain factory supplied lube and refill with Maxima Chain Case Lubricant per owners manual. CAUTION: Avoid contamination. Dispose of all used lubricants per local regulations - be responsible. 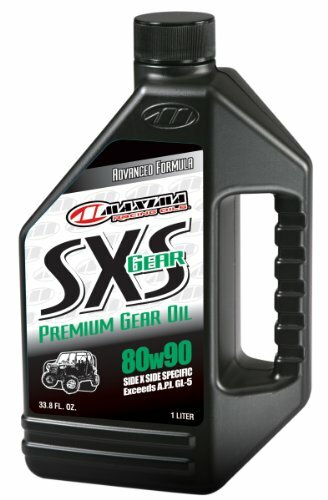 Maxima's SXS Gear is a high performance gear box oil designed specifically for hypoid-type differentials commonly found in the modern side-by-side vehicles. SXS Gear offers unsurpassed wear protection on highly loaded contact points within the vehicle drivetrain. Outstanding shock load protection for off-road applications. Ultra shear stable polymer systems combats viscosity loss and improves oil thickness on the gear interface and protects beyond conventional fluids. SXS Gear utilizes ultra-pure petroleum base oils, enabling the oil to be stable in high-stress, high-heat environments, exhibiting excellent anti-foam properties and protects against rust and corrosion beyond typical usages, continuing its protection during storage periods. Meets or exceeds API GL-5 specifications. Compare prices on Mobile Gear Oil at ShoppinGent.com – use promo codes and coupons for best offers and deals. Start smart buying with ShoppinGent.com right now and choose your golden price on every purchase.